Originally published 10/31/18. Updated 1/28/19. On a scale of 1-10, how excited would you be if you could see Tony award-winning musical, Hamilton, for $10? Thanks to the Ham4Ham lottery system, you may just be able to. Here’s how it works. 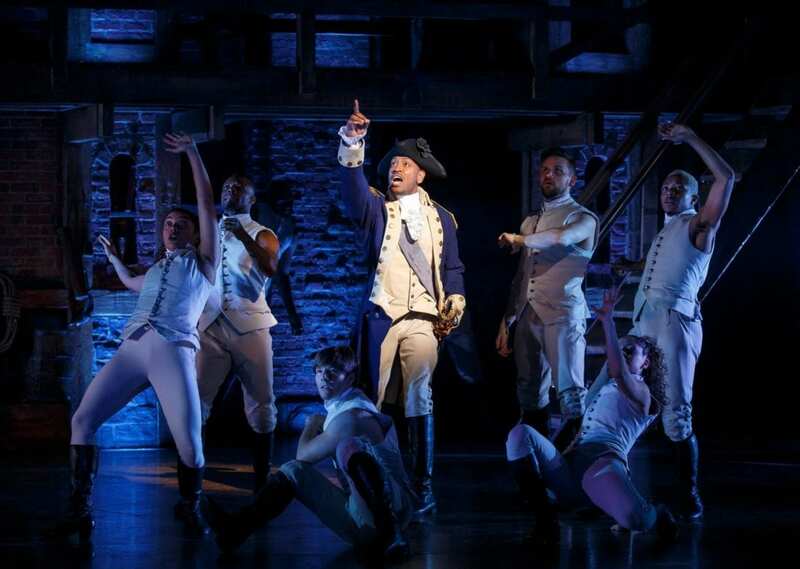 Hamilton will be in town at the Ohio Theatre from January 29 to February 17. The lottery will open two days before the performance at 11 a.m. and remain open until 9 a.m., the day before the performance. During that time, registered users can enter the lottery. If chosen, you can purchase up to two tickets for $10 each. Notifications will be sent out at 11 a.m. the day before the show and the lucky winners will be able to claim their tickets. You must purchase your ticket online with a credit card before 4 p.m.
It’s not an empty promise. If you win the lottery, you really will get to purchase tickets for just $10. And afterward, you may even get to meet a star or two. To register for the lottery, you can visit the Ham4Ham Lottery website or download the app to your phone. The Columbus lottery is already online.